naww i didnt nima, i just bought it the other day, its brand new itss amazingggggggggggg once u smoke it your not going to want to smoke normal hookah heads lmaoo HAVE to try it! That is crazy. Where did you get the bowl from? haha. what exactly are we talking about? I personally like one hose hookahs (even with multiple people). How does the second hookah (bottom one) smoke? Damn son. $50 is expensive for that size hookah. you need to buy your stuff online - much cheaper. Some hookahs can smoke surprisingly well with a good hose and bowl. hey the thread hit ten pages! well online at the time it was only $8 cheaper atleast everywhere i looked. that is exactly why i bought multiple vortex bowls and a nammor hose. though i am very impressed with this lil guy. ive had it for aboot three years. I wonder what Vincent had planned for the tenth page. Lol. Oh well. I need to get some pictures up of my newer pipes. I love my Nour Karakol but it's got a leak still... Need to get some JB weld and fix it up. That's cool to have someone blow the glass for you. Can you give them whatever shape you want? No way!! 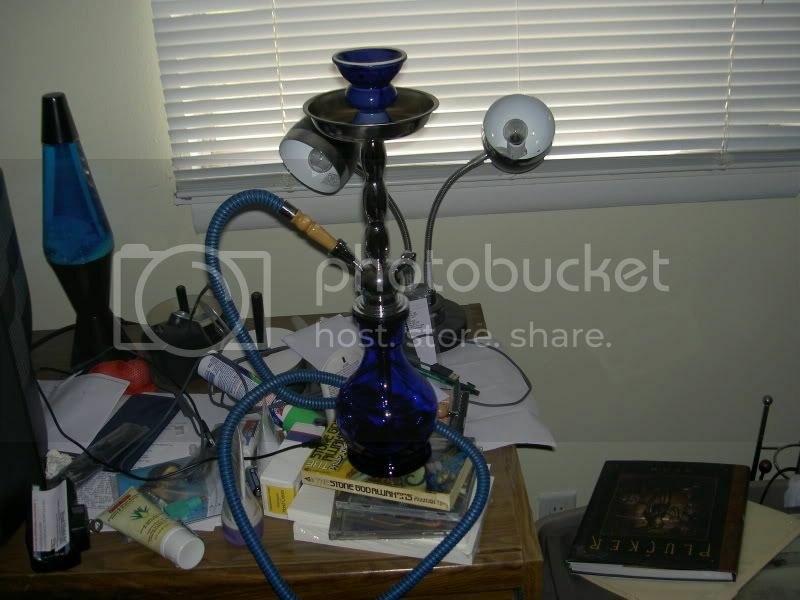 I bought a hookah just like this one in Jordan... it was truly unique! The upper half of the basIe was a hard plastic and the bottom half was metal. 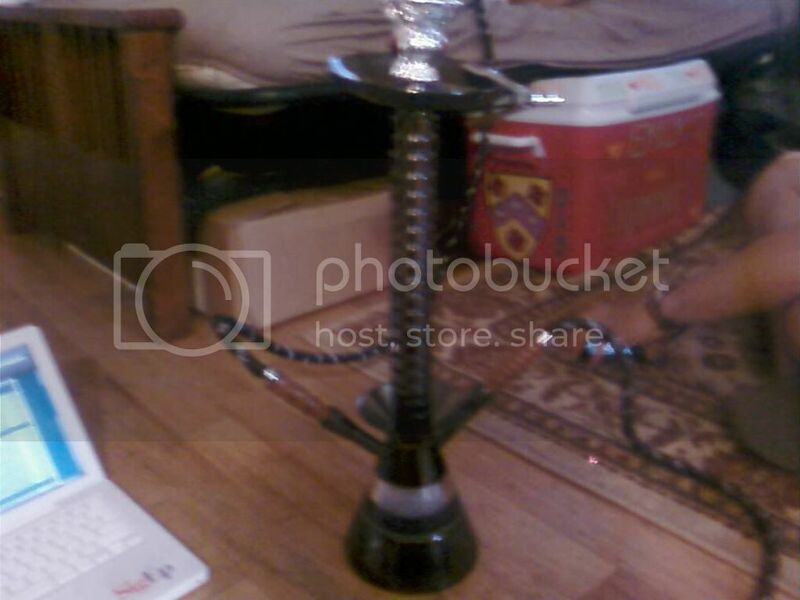 It's a very very solid heavy duty hookah. The stem unscrewed into 3 pieces, so it was very easy cleaning. Mine was gold and I loved it. I probably got gypped cause I can't haggle worth anything, but oh well. I ended up giving it away to a good friend before I moved... back when I swore off hookah. Uh huh... that lasted long. QT's are going for $24 wholesale but you know retailers jack the prices up. $50 isn't too shabby. The Queen Pine Regal... there is none I prefer more. oh i like! thats hot you should see the one im having made its gana be epic. Oh yeah? What are the specs like? When will it be finished?